"Itâ€™s not so bad being a cat, now is it?" 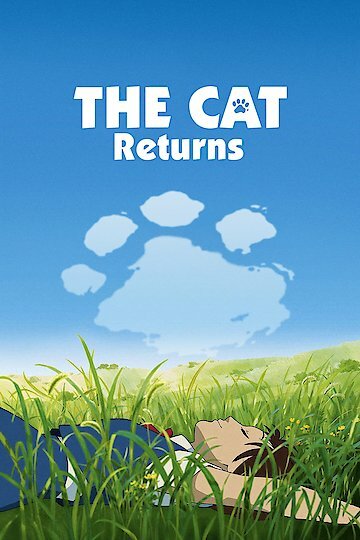 The film entitled The Cat Returns is about the life of Haru. Haru is a young lady who has a timid and calm personality and is a high school student. She has restrained ability to communicate with cats. One day while walking along a busy road, she rescues a cat from being hit by a lorry. She later finds out that the cat is a prince. His name is Lune and he is from the cat Kingdom. To show gratitude to Haru, Lune offers her presents of catmint and mice. Lune also asks her to marry him. Haru is quiet and says nothing in response. Lune considers her silence to be a yes. Haru however does not want to accept any of Lune’s offers. A female voice asks her to get advice from the cat bureau. Haru comes across a big white cat known as Muta. Muta takes her to Baron. Haru and Huta are taken to the Cat Kingdom against their wish. When they arrive the Cat Kingdom, a feast is set up to welcome them. As the feasting starts, Haru gradually transforms into a cat. However, she does not completely transform as some of her human attributes are still left. She becomes part human and part cat. The purpose is to make her look appropriate to marry the prince. Baron arrives at the feast. He disguises himself and dances with Haru. The cats discover the presence of baron and try to capture him. He fights with the cat guards. Yuki comes to help Baron and Haru so they can run away. She shows them how to find their way out of the cat Kingdom. Lune returns to the Kingdom and tells the King he is not interested in marrying Haru. He tells him he wants to marry Yuki instead. Prince Lune assists Haru, Baron and Muta to flee from the cat kingdom. Haru then returns to the human world.